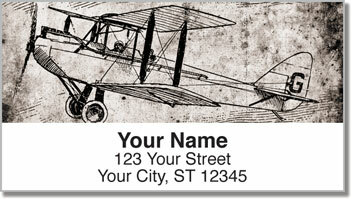 Aviation enthusiasts will fall in love with the classic illustrations of early airplanes featured on these checks. The quest to find a way to fly began long, long ago. It came to a dramatic conclusion with two brothers who made their living repairing bicycles. Orville and Wilbur Wright probably never realized what a huge impact their flight at Kitty Hawk would have on the history of the world. 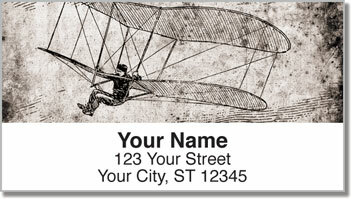 Vintage Plane Address Labels pay tribute to pioneers in air travel. 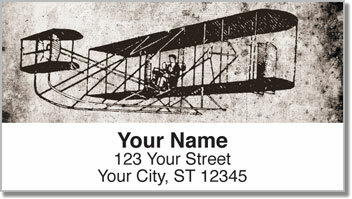 They will also make it extra easy to prepare your outgoing mail while allowing you to celebrate one of your passions. 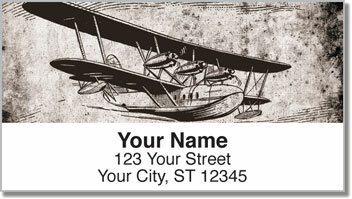 Get your own Vintage Plane Address Labels right now! This unique selection is also available in matching personal checks.